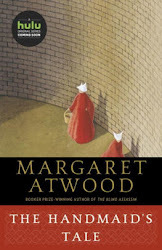 Today I'm featuring one of my current reads. 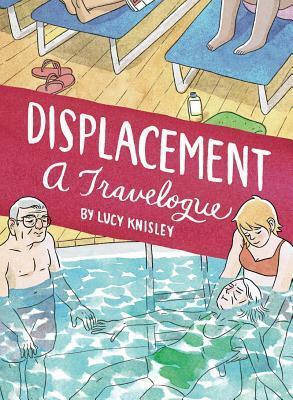 Displacement is a travelogue in graphic novel format by Lucy Knisley that I borrowed from the library. In the period after I finished my last book, but before it was released, I decided to spend my time having adventures. I was still reeling from a breakup, but enjoying the rest from writing and drawing my newest graphic novel. I was lucky to ferret out offers to travel; a comic convention in Europe, a job as a counselor for study-abroad trips, paid travel writing . . .
And a cruise for the elderly. In February of 2012, I accompanied my grandparents on board a cruise ship. I love my gerandparents, but as many with loved ones in their 90s will tell you, travel and care-taking are no easy endeavor. This book is the journal of my experience. While this book and its format may not be every reader's cup of tea, as a cruise enthusiast it has great appeal to me. Many times I observed inter-generational family groups on board a particular ship and wondered about their backgrounds and stories. Through illustrations and text, Knisley recounts the cruise she took with her elderly grandparents. This memoir, however, is more than the story of a ten-day trip to the Caribbean. It is a candid view of family dynamics and how they change over the life cycle. At times disturbing, yet often downright funny, her account is touching, and highlights the strength of family bonds and the emotion, love, and devotion that define the human condition. First Chapter ~ First Paragraph #139 was originally published by Catherine for bookclublibrarian.com. This post cannot be republished without attribution. Retweeting and sharing on Google+ encouraged.